HARTWICK – Lois G. Thompson, 90, of Hartwick, passed away surrounded by her family Saturday night, January 26, 2019, at Bassett Medical Center in Cooperstown following a brief illness. She was born Lois Gertrude Coburn May 16, 1928, in Essex Junction, Vermont, a daughter of Ralph Henry Coburn and Anna Bessie Sweet Coburn. At one time she was employed as a secretary for community programs in Chelsea, Vermont. She devoted much of her life to raising her family and caring for their home. 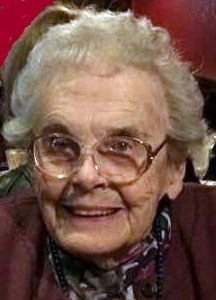 Lois is survived by her six children, Jeri Tiffany of Cooperstown, Teri Purdy of Bloomingburg, Jennifer Rettenmaier and husband, Richard of Ellenville, Jason Thompson and wife, Susanne, of Fairlee, Vermont, Randi Griffith and husband, Wayne, of Hartwick, and Christi Dutcher of Neosho, Missouri; fifteen grandchildren; twenty-three great grandchildren; one great great granddaughter; and four sisters, Muriel Laliberte, Patricia Widli, Phyllis Blanchard and Greta Griffin, as well as many nieces and nephews. She was predeceased by her husband, Robert Alonzo Thompson, who died April 22, 1994; two brothers, Robert and Irving Coburn; and two sisters, Jean Bryne and Joyce Gomez. A private service will be held by the family at their convenience. COOPERSTOWN – Doris Buchanan Johnson, age 96, passed away peacefully late Thursday afternoon, January 3, 2019, at Chestnut Park Rehabilitation and Nursing Center in Oneonta. Formerly of Madison, New Jersey and later Liverpool, she had moved to Cooperstown last year to be near her daughter, Judy Green and family, and had resided at Woodside Hall. Doris was a school secretary for many years followed by secretarial work for the Board of Missions of the New Jersey Conference of the United Methodist Church. She retired from her last post at Drew University where she was a popular secretary to the Dean of Students. For many years Doris was active in the United Methodist Church in Madison, New Jersey, serving in the choir, social concerns programs, as well as the church’s homeless program. She also volunteered for RSVP and the Morristown Food Pantry. In 1994 Doris was honored as an “Outstanding Woman of Madison” for her contributions to the community through her volunteer service. Doris is predeceased by her beloved husband, Charles Howard Johnson, to whom she was happily married for 68 years and who died March 12, 2013, and a son-in-law, Lynn Edward Green, Esq., of Cooperstown who passed away July 8, 2013. She is survived by her sisters-in-law Sally Johnson and Judy Johnson. Also surviving are her three children, Judy Green of Cooperstown, Alan Johnson of Fayetteville (wife Gretchen) and Pam Johnson (partner Roseanne McCarty); three grandchildren, William C. Green, Esq. (wife Susan), Amanda Marini (husband Paul) and Jillian Green (husband Chris Watters); and six great grandchildren, Anders, Henrik and Alistair Green, Ilaria and Nico Marini and Hyla Watters. Doris’ family will receive friends beginning at 11 a.m. on Saturday, January 26, 2019, in the sanctuary of the Cooperstown United Methodist Church, 66 Chestnut Street, Cooperstown. The visitation will be followed by a memorial service at 12 Noon with the Rev. Sharon Rankins-Burd, pastor of the Fly Creek United Methodist Church, officiating. In lieu of flowers, contributions may be made to the Interfaith Food Pantry, 2 Executive Drive, Morris Plains, NJ 07950. COOPERSTOWN – Sandee Hillman Alpern, of Cooperstown passed away on Thursday morning, January 10, 2019, at Chestnut Park Rehabilitation and Nursing Center in Oneonta at the age of 71. She had been a resident of Cooperstown since 1976. Sandee was born in New York City on June 24, 1947, and grew up in Great Neck on Long Island. She attended Lesley University in Cambridge, Massachusetts, where she earned her Bachelor of Arts degree, then earned her Master’s degree in educational psychology at the University of Chicago. She was married to Harlan Alpern in Roslyn on June 20, 1971. After her marriage she moved to Rochester with her husband who was a resident in Pathology at the University of Rochester Medical Center. She worked as a play therapist on inpatient pediatrics. She also took classes in spinning and weaving becoming proficient and had her own spinning wheel and loom. In 1976 she moved to Cooperstown with her husband who was an attending pathologist at the Mary Imogene Bassett Hospital. Sandee took a part-time position at the Cooperstown Elementary School as the teacher of the gifted and talented program. She continued to do spinning and weaving. In addition, she took classes in pottery at The Smithy in Cooperstown. She had her own pottery wheel and kiln in the basement of her home. She developed expertise in pottery, sold her pieces and became a teacher of pottery at The Smithy, teaching two classes weekly and had a following of students. She sold her pottery as well as her weaving products at local stores and craft shows. She loved to collect and wear craft jewelry. Sandee is survived by her husband, Harlan; her son, Micah (Sarah) of Mountain View, California; by her daughter, Rebeka Seelinger (Brian) of Erie, Pennsylvania; her four grandchildren, Bobby, Emma, Hazel and James; as well as by her mother, Corinne S. Hillman of Cooperstown, and a sister, Kathi Hillman McElroy (Hugh) of Port Jefferson. Sandee had many friends in the Cooperstown area as well as friends and relatives across the country who will miss her. The funeral will be at 2:30 p.m. on Sunday, January 13, 2019, at the Connell, Dow & Deysenroth Funeral Home, 82 Chestnut Street, Cooperstown, with Rabbi Peter Schaktman of Temple Emanu-El in Utica officiating. Burial will be in Mount Hebron Cemetery, Flushing, Queens. For those that wish to honor Sandee’s life and memory a tax-deductible donation could be made to The Smithy Clay Studio, 55 Pioneer Street, Cooperstown, NY 13326. COOPERSTOWN, NY – Leslie M. Walton, 73, formerly of Lanesboro, MA, passed away after a lengthy illness Saturday afternoon, January 5, 2019, at Cooperstown Center for Rehabilitation and Nursing in Cooperstown, NY. She was born June 9, 1945, in Framingham, MA, a daughter of Claflin H. and Barbara E. (MacKay) Walton. For 42 years she served as a physical education teacher and a guidance counselor at St. Joseph’s High School in Pittsfield, MA. Leslie is survived by her sister and brother-in-law, Jane I. and Richard Eldridge of New Lisbon, NY. She was predeceased by her father, Claflin H. Walton who died October 6, 1992, and her mother, Barbara E. Walton, who died October 22, 2006. She will be laid to rest in Pine Grove Cemetery in Westborough, MA. COOPERSTOWN - Earl Nathaniel Buffett, Jr., age 93, passed away in the early morning hours of New Year’s Day, January 1, 2019, at Chestnut Park Rehabilitation and Nursing Center in Oneonta. He was a member of two founding families of Long Island, the Buffetts and Conklins. A native of Long Island himself he was born May 9, 1925, in Huntington, a son of Earl Nathaniel and Estelle May Conklin-Buffett. 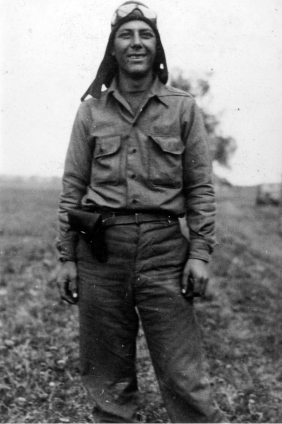 After graduating from high school, Buffett enlisted in the United States Army Air Corps on March 30, 1943, and served as an aviation cadet during World War II at Randolph Field in San Antonio, Texas. He received training as a B-24 Aerial Gunner, Bombardier and Navigator. He served as a Second Lieutenant with the 231st Army Air Force Base Unit from November 11, 1944, until his discharge on December 19, 1945. He married Jennie May Sammis, also from a Long Island founding family, at St. Paul's Lutheran Church of East Northport on Easter Sunday, April 17, 1948. They began raising their family on Long Island and in 1956 moved to Cooperstown. Here, Buffett began his career in law enforcement as a New York State Trooper. Working out of the Oneonta barracks, he served as a Zone Sergeant in Troop C, retiring at the age of 49. He then went to work for Stephen Clark as head of security for the Cooperstown area Clark properties, including The Farmers' Museum and Fenimore House. He was interested in American antiques throughout his life. He restored many pieces, and especially enjoyed caning chairs. He had a profound interest in history, particularly in the American Civil War. Earl is survived by five children and sixteen grandchildren: Sandra Schecher and her husband, Henry J. Schecher III, of Cooperstown, and their daughters, Emily and husband Eric Liston, Amanda Schecher and Charlotte Lermer; Bruce Buffett of Norfolk, Virginia, and his children, Nicole Stevens and husband John Hager, Erin and husband Brandon Redden, Matthew Buffett and Anne Buffett and husband, Mat Dolezel; Lynda Morris and her husband, David A. Morris, of Traverse City, Michigan, and their daughters, Adelia Morris, Victoria Morris, and Madelyn and husband, Andrew Maxbauer; Laurie Kearns and her husband, Gary Kearns, of Cooperstown and their son Peter Kearns and wife, Laura Spence; and Lisa Leslie and her husband, Edwin Leslie, of Fly Creek, and their children, Jessica and husband Christopher Miller, Samantha Leslie, Jeffrey Leslie and wife, Lisa, Margaret Leslie and Michael Leslie; 12 great grandchildren; and many nieces and nephews. He was predeceased by his wife of 64 years who died June 10, 2013, and by a half brother, David Owen Buffett who died in 1991. The Service of the Burial of the Dead with the Holy Eucharist will be celebrated by the Rev’d Dane E. Boston at 11 o’clock in the morning on Saturday, January 5, 2019, at Christ Church, Episcopal, 46 River Street, Cooperstown. A reception at Templeton Hall, 63 Pioneer Street, Cooperstown, immediately follows the service. The Committal Service and burial will take place later this Spring at Lakewood Cemetery, Cooperstown, the Rev’d Boston officiating. Military Honors will be rendered by the members of the Cooperstown Veterans Club and the New York State Military Forces Honor Guard. In lieu of flowers, the family asks that memorial gifts be made to the Christ Church All Souls Fund, 69 Fair Street, Cooperstown, NY 13326. Arrangements are being made through Connell, Dow & Deysenroth Funeral Home, 82 Chestnut Street, Cooperstown. COOPERSTOWN – Rodman Dana Carter, M.D., a long-time surgeon at Mary Imogene Bassett Hospital whose career in urology spanned over 40 years, passed away following a valiant battle with cancer Friday afternoon, December 28, 2018, at his home in Cooperstown with his family by his side. He was 90. Born April 6, 1928, in Ashtabula, Ohio, he was a son of the Rev. Edwin R. Carter, a Minister in the Congregational Church and the United Church of Christ, and Lillian Herter Carter. After graduating from high school he proudly served his country in the United States Navy. A graduate of Harvard University, Class of 1949, he received urological and surgical training at Columbia University College of Physicians and Surgeons. At one time he worked with Dr. Virginia Apgar, the creator of the Apgar Scale for grading babies’ health at birth. In 1953, Dr. Carter arrived at the Mary Imogene Bassett Hospital where he enjoyed a long career. Board certified in general surgery and urology, he became a member of the senior staff in 1962, and until 1993 he continued teaching the house staff the art and science of surgery as the hospital grew and expanded. After he retired from Bassett and began spending winters in Palm Coast, Florida, he continued to offer his services in that area until he completely retired in 1997. He was a member of American Legion in Florida, and was an ardent supporter of the Friends of Bassett. Dr. Carter is survived by his wife of 60 years, Mary Imogene Newell Carter, a native of Cooperstown. They were married April 18, 1958, in a ceremony in Cromwell, Connecticut with Dr. Carter’s father officiating. Dr. Carter is further survived by one daughter, Michelle “Micki” Weir of Granville; two granddaughters, Dana Temp of Esperance and Shawna Tierney of Bristol, Maine; four great grandchildren, Olivia Temp, and Finnegan, Liam and Angus Tierney; one sister, Caroline Wall; two sisters-in-law, Noreen Newell of Cooperstown, and Marion “Billie” Williams of Portland, Oregon; and many nieces and nephews. A private gathering will be held later this Spring. Memorial donations may be made to Friends of Bassett, 1 Atwell Road, Cooperstown, NY 13326 or Catskill Area Hospice and Palliative Care, 297 River Street Service Road, Oneonta, NY 13820.